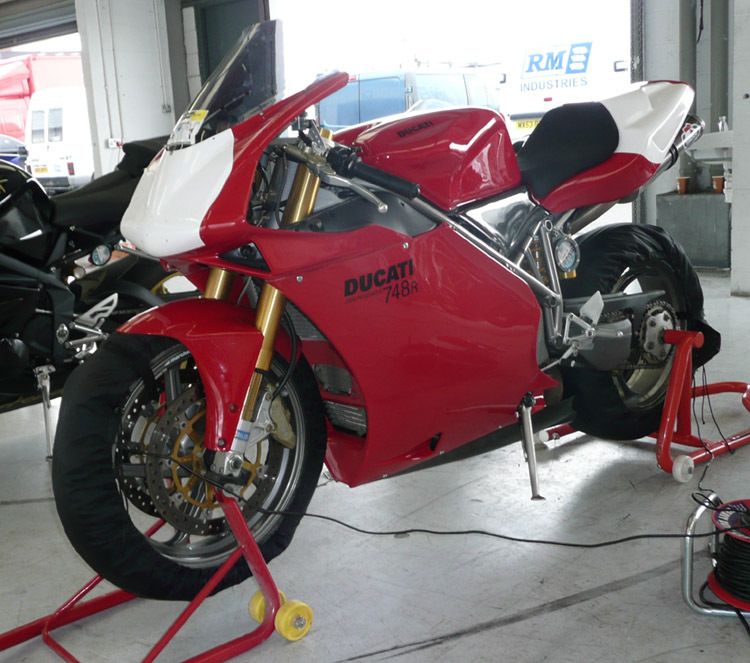 We produce Ducati 916 / 748 bodywork also the Ducati 998R / 996R race bodywork. 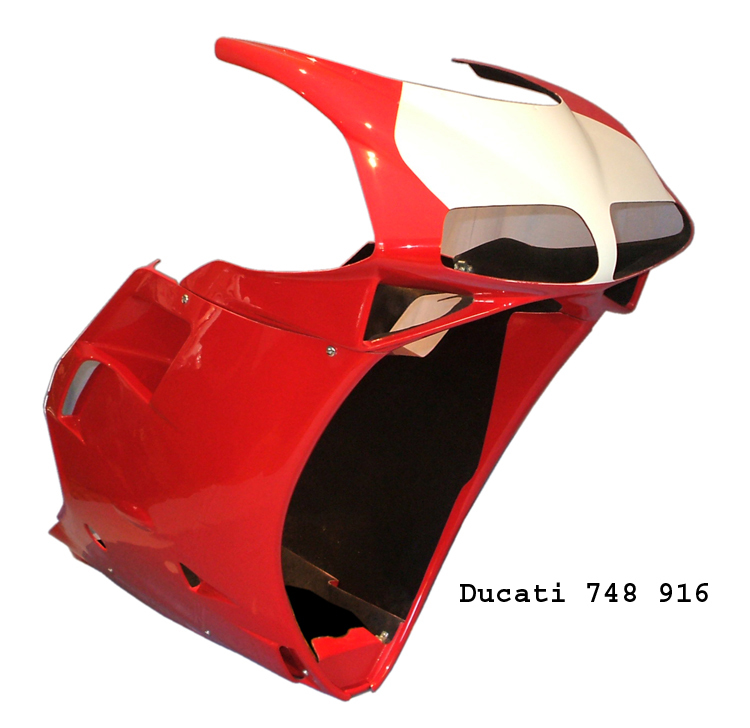 Both models of Ducati fairings are a four piece set which comprises nose cone, two side panels and belly pan. 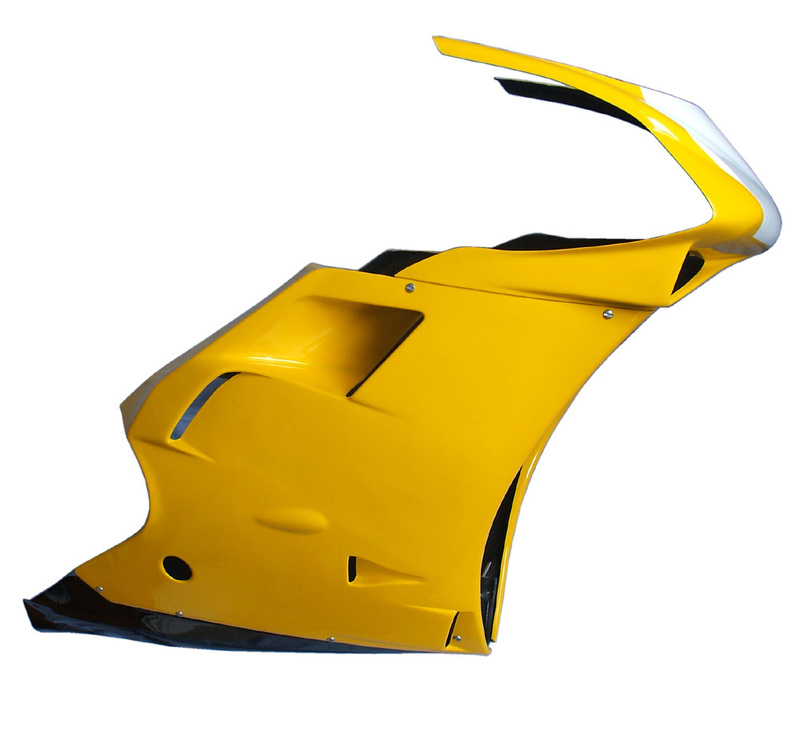 You have the choice of ready to paint or high gloss polished bodywork, for race, track or road use. 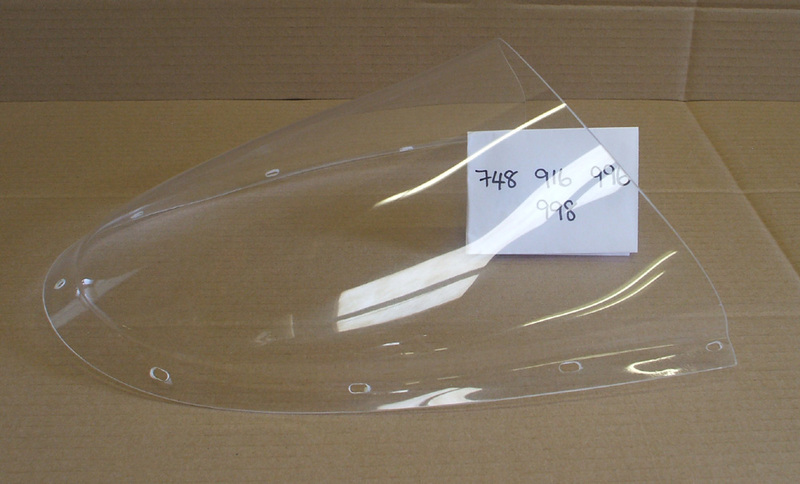 We can easily cut the head light holes for road use at no extra charge. 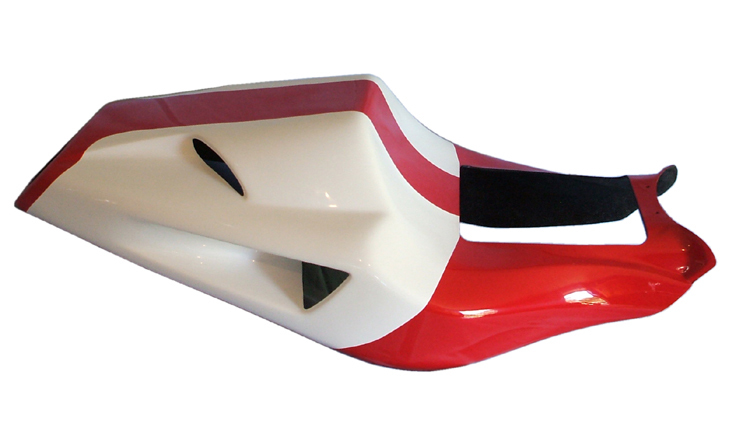 There is a choice of top fairing, to suit larger volume air intake tubes, or standard air tubes, see photos below, tell us which you want. 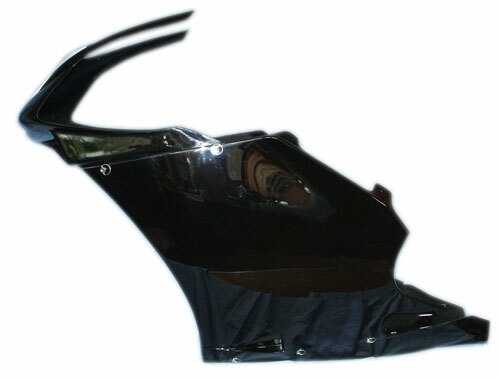 The bellypan is the larger high volume, suitable for use with big bore pipes. 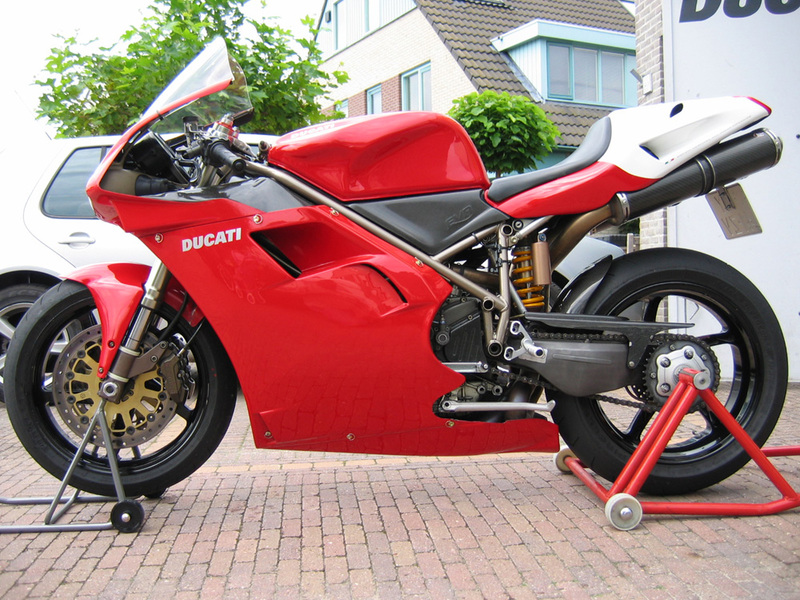 We have a range of colours available, Ducati red and Ducati yellow being the most popular. You can choose a single colour, or go for number panels which are also colour impregnated in the manufacturing process. You can choose different coloured panels, eg black belly pan with red or yellow panels, for the same price as the single coloured set. All sets are complete with slot head fasteners, D ring type are available, just ask to upgrade. 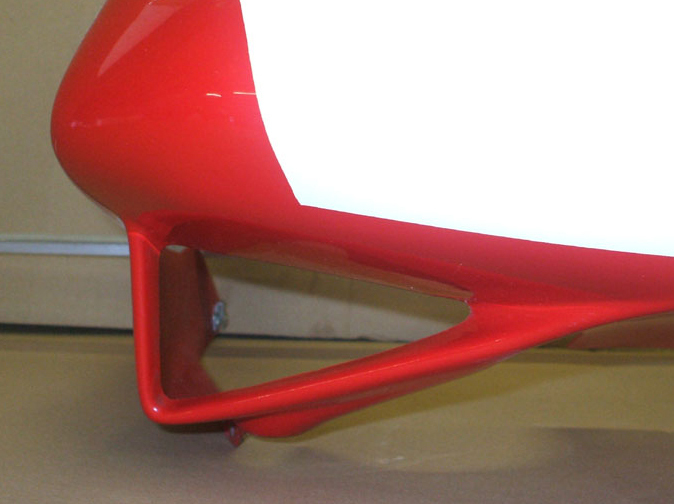 Side Stand - The side stand cut out is optional on the 748 / 916 / 996 model, tell us if you need it or not. 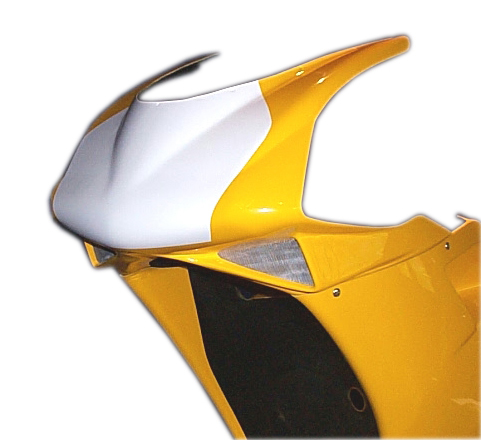 The 998R style panel is designed to use the side stand, we can adjust this to suit if you don't want to use the side stand, there is an extra charge of £18 to the fairing. 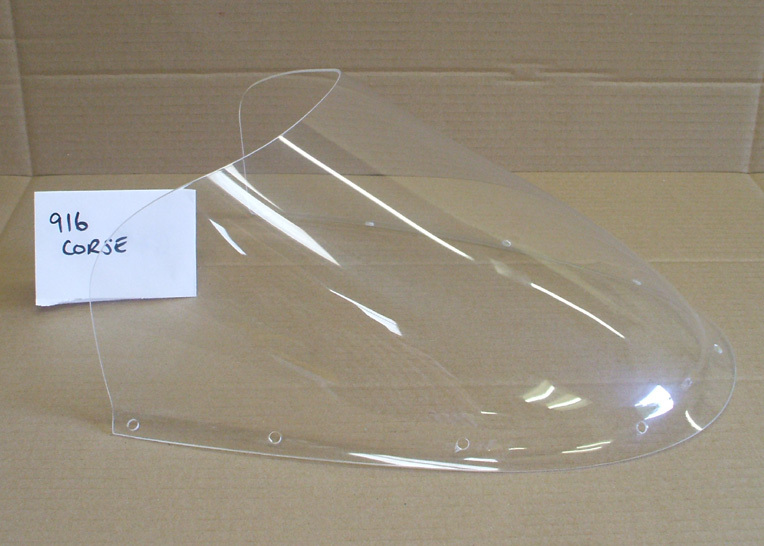 Mesh on front air intake vents - add £19.99. 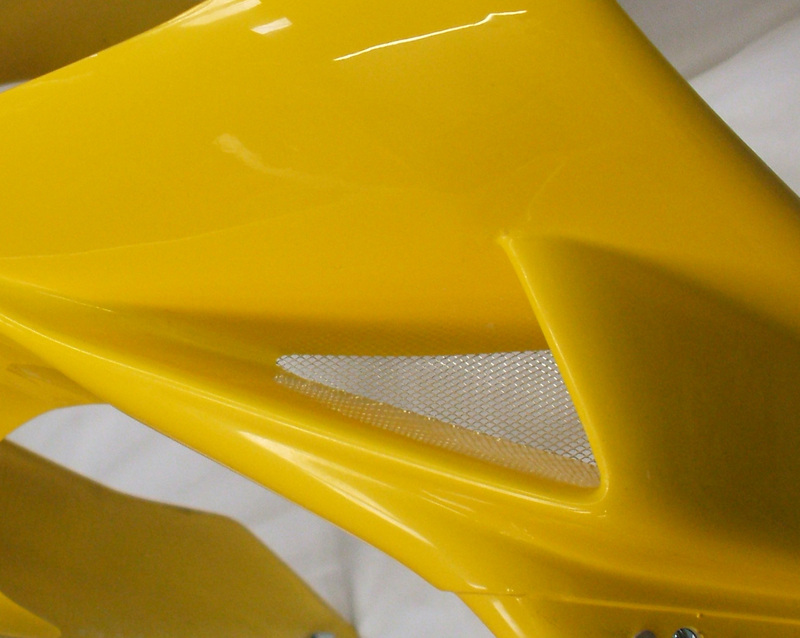 As for the fairings, we manufacture the seat unit for the 916 / 748 also the 998R / 996R. 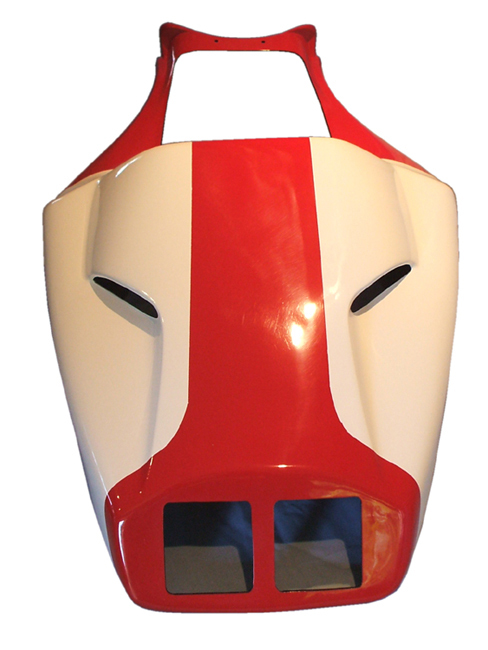 This product is suitable for both the mono and biposto model. You have the choice of a polished finish saving the time and cost of painting, or if you prefer it is available in unpolished, ready to paint. 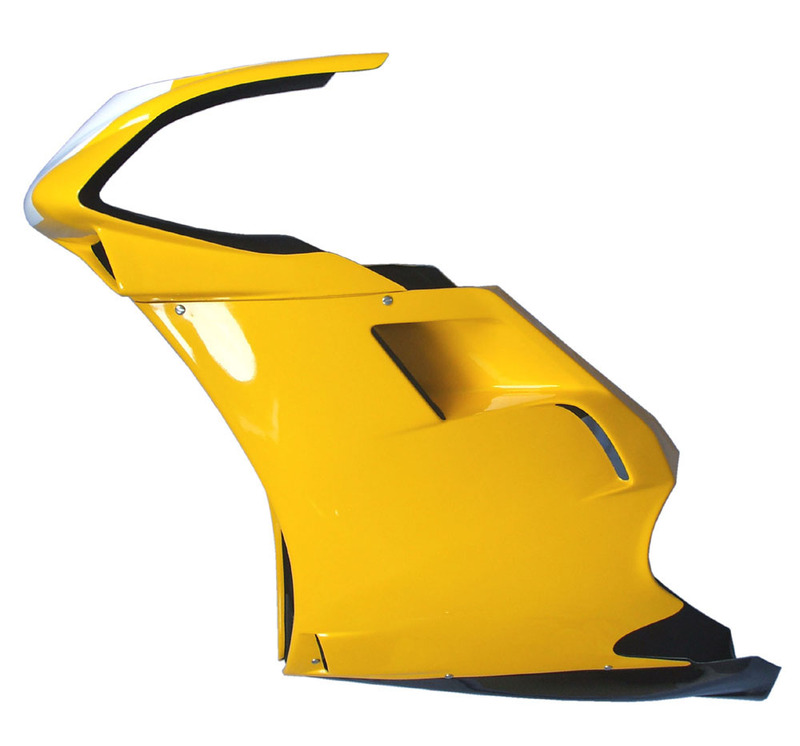 The seat unit can be prepared to your specification for use on track or road. Just ask if you would like the rear lights cut, there is no extra charge. You can use it with your seat pad or use the stick on race foam, again just ask for the seat to be cut for use with the original pad. No fittings are included, to enable the use of the standard Ducati seat release mechanism we can fit a threaded component to the underside of the seat unit to fit your own Ducati seat catch for £19.99, or if you require the threaded component and the Ducati catch part with the rubber stoppers £39.99. We can deliver worldwide, please contact us for prices. Ring us on +44 (0)7971 909 096 to place your order and pay with credit or debit card, or email for details for bank transfer. Paypal payments - tell us your Paypal account email and we can send you an invoice. We are open from 9am until 9pm every day, although the answer service may be in operation at times, just leave your number and we will get back to you.